How it looks to us, and this became a general conclusion when we read various audiophile forums and blogs, it is not a matter of the vinyl record itself or of a CD. The thing is in audio production. Music was due to the technical requirements of the record and the CD, because of the equipment used during production, because of the equipment it is listening to, differently produced for records and CDs and it sounds different when it is produced in a different way. Before digital technology take over our lifes, everything worked in analog way. Then digital technology began to be gradually introduced. And that means the signal started to “travel” differently through the devices. We have a case of analog signal flow. Thus, the microphone (or the instrument itself if it is an electric) signal travels through various processors (equalizers, compressors, reverbs, etc.) and is recorded as an analog signal to some medium. In the studio it was recorded on a reel to reel tape recorder. And with these tapes we can directly listen to recorded material on loudspeakers or headphones. With digital signal we have additional elements. So from the microphone or instrument as a source of analog signal it must be converted to digital first – to a string of 0 and 1. Such a signal goes either to a computer where VST tools are, that are in fact simulators of those equalizers, compressors, reverbs etc. that were used in the analog system. Or, it may not go through the computer, it can go to equalizers, compressors etc. as a separated devices, but these devices are digital. 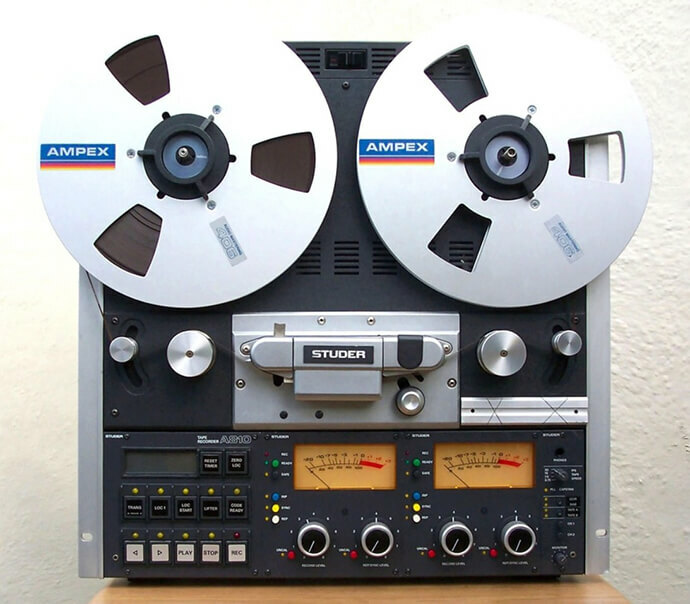 So processed music is recorded as a digital system, such as a number of 0 and 1 in some media, whether it is a HDD or even a tape (a long time ago computers used magnetic tapes to record and store data.). But when we want to listen to digital music from any media we have a problem. All speakers and headsets are analog. And that means we have to convert that digital signal back to analog. So, in the analog system we had analog input, analog processing, analog output. For digital systems, we have analog input, converting to a digital system, digital output, converting to analog signal, analog output. And those differences have to affect sound. If we have a bad converters of analog to digital signal and vice versa, if the analog signal is converted to digital with a low resolution it will break the sound. But if the analog/digital conversion is good, if the digital sound processing system is good, if the resolution is sufficient then the digital sound will be of the same quality as the analog. Even better. And digitally produced music, whether it’s from a CD or in FLAC format, we can make it sound warm like a record. Naturally, this atmosphere also contributes to the amplifier, loudspeakers or headphones, that is analogue parts of the digital production and listening chain. Why is the CD standard 16bps/44.100 Hz? Because the frequencies heard by the human ear for stereo listening can be digitized with that resolution. We need no higher resolution, even this resolution has a higher capacity so it is possible to digitize a larger frequency range than the human ear can hear. So if both digital and analogue music is produced with quality the record is no better than the CD. Different might be but it is not better. What makes a record “better” is that music can not be produced on a record and on a CD in the same way. We can not do the same degree of compression, it has to keep up more dynamics in the sound. 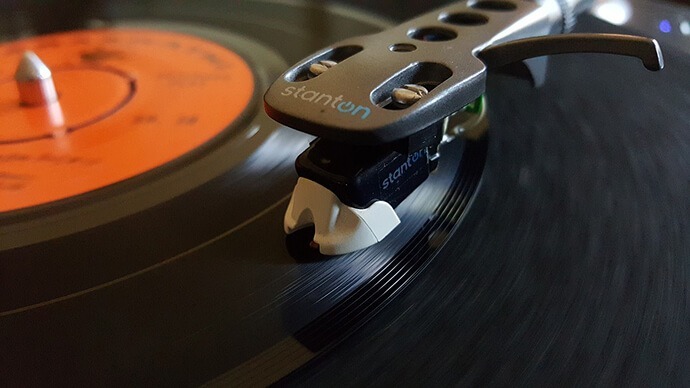 This is because too compressed and amplified audio when the record is cutted makes such kind of a groove on the record that the needle may fall out of the groove. The CD can handle more signal manipulation than the record. And just because the record is technically worse, having more restiction for a signal than a CD makes the music on the record better. Because it’s less compressed – it’s not so loud. So if we want to listen to music loud from the record we have to amplify it on the amplifier. But due to less compression quiet parts of the song are still quieter than loud parts. In modern music on digital formats, even on CDs, quiet parts are amplified, and loud parts are dimmed to almost equalize (that is compression), and then all together is amplified. And we get music without any dynamics, we get a sound wall of noise. Do not be fooled, producers would do the same on the records (compression and amplification), in fact they did it until they reached the technological limits of the record, so the record with its own construction did not allow them to do the same degree of compression as on a CD. And that’s why the music from the record is “better” than the music from the CD. Music on the go has only contributed to the problem. 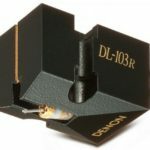 Namely, we do not have a strong headphone amplifier, especially for loudspeakers, on a cell phone or iPod and the like. Due to the size of the devices themselves, and because they are powered by batteries, components used for amplifiers make the amplifiers are low power. So we can not listen to quiet music outside, and if the music has good dynamics (quiet and loud parts) if you hear loud parts, you will not hear quiet parts. So manufacturers of devices with whom music is listening on the go started asking the producers to make the music louder and with less dynamics. Nobody will buy MP3 or FLAC if he does not hear that in the subway, right? And the decades before today was this: Producers made the music as loud as they can so the song is louder than a song from a competing producer and then the audience would pay more attention to their song instead of the song of a competing producer. 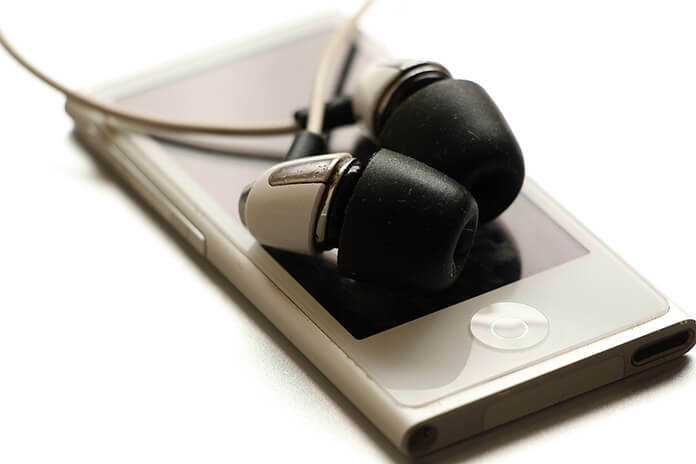 This two things – radio stations, and then the arrival of the music on the go, and especially the MP3 players, have caused the music to produce louder and with less dynamics. As we said, while the record (and the tape itself) was the dominant medium, its limited technology kept the producer under control. When the music was not listened outside it could be comfortably produced with good dynamics. Who wanted loud just turned a volume knob on the amplifier. And the music industry and its finances were such that money could also be earned with high-quality music. With the onset of moving music, especially CD and digital MP3, FLAC etc., these limitations no longer existed and the way of listening to music is changed as well as the reason why music was bought (at one time more music was purchased to listen to music on the go rather than in the home), so there was a need for a different approach to production. Most music publishers are not in business because they like music. They are here to make money on music. And if they need to ruin the music in order to earn the money they will do it. Producers who work for them also thinks the same way: if they don’t do it will not be paid. Consumers also agree to poor quality if the music is cheaper, the media on which music is cheaper as well as listening equipment. All this together has led to the lowering of quality. And even when we have a great author and a virtuoso performer all that effort and quality are lost due to the rules of production, industry and earnings. There are some exceptions, but the mainstream trend is very bad.